So far Scott Flickinger has created 45 blog entries. The 2019 NIRSA National Basketball Championship Starts Today! Two high-powered offenses met here at 10:30am local time. The UANL Tigres and the 2017 National Champion Florida Gators have been outscoring opponents left and right throughout pool play and the playoffs. 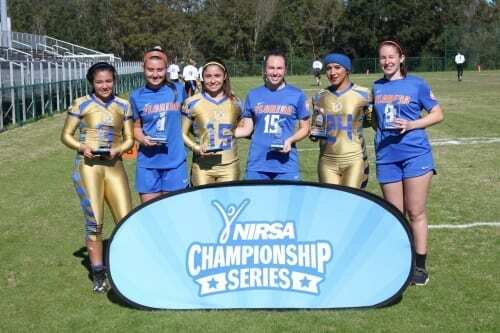 But now, it was time to see who the dominant team was in the 2018 NIRSA Flag Football Women’s National Championship. We have made it to the final day. Championship Sunday is upon us, and very soon, we will find out who the 2018 National Champions are for the Men’s, Women’s, and Co-Rec Collegiate divisions. The stakes are high, and the action will be intense. This should be a lot of fun. The last hour of games saw the women’s finalists decided in convincing fashion with the semifinals coming to a close.